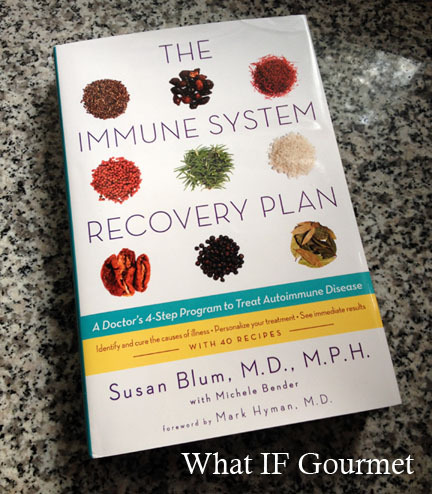 Book Review: The Immune System Recovery Plan by Susan Blum, M.D., M.P.H. Dr. Susan Blum’s new book, The Immune System Recovery Plan (2013), is a victim of sloppy editing, which is a shame, because content-wise, this is the best book I have read on managing autoimmune disease. The book’s intellectual content is well-researched, well-tested, and incredibly pertinent to the rising autoimmune health crisis. If you can look past its flaws (and I encourage you to try), this book offers valuable information for understanding your own immune system and managing your health. So, what are these flaws? I was so turned off by the atrocious writing style — italics, bold lettering, and exclamation points abound!!! — that I almost put the book down just a few pages into the introduction. Maybe the author’s editors were trying to let her voice shine through, but I just felt like she was yelling at me. It gave me a headache. Good writing would have made the point about how important this topic is without resorting to the punctuation-equivalent of yelling, and a good editor would have preserved Dr. Blum’s authentic voice while toning down her overly exuberant writing style. Fortunately, once I made it past the introduction, the style did settle down somewhat, and the text became more readable and less condescending. The recipe chapters also show evidence of poor editing, as the recipe descriptions do not always agree with the recipe ingredients and techniques. For example, a recipe with a description touting the benefits of honey as a sweetener then goes on to list agave nectar in the ingredient list, and doesn’t mention honey at all. Another recipe description extolls the virtues of protein-rich quinoa, but then the recipe itself lists only brown rice. In these cases, the ingredients that are mixed up are more or less interchangeable, so the recipes still work, but this sloppy editing detracts from the book’s message, and inspires the reader with doubts about how reliable the book’s other information actually may be. Buddha Rice Bowl components: tahini dressing, avocado, roasted vegetables, caramelized onions, brown rice, and kale (toasted pumpkin seeds not pictured). That said, based on my own reading about nutrition, inflammation, and autoimmune disease, Dr. Blum’s treatment methodologies do seem reliable, although I offer that opinion only as an educated patient and not as a medical doctor. Dr. Blum’s approach invites dramatic lifestyle changes, but then takes the overwhelming anxiety out of such changes by offering a clear, encouraging plan of action. The best aspect of her book is her explicit invitation to readers to be proactive participants in their own healing. She has divided her approach to managing autoimmune disease into four parts: Using Food as Medicine; Understanding the Stress Connection; Healing Your Gut; and Supporting Your Liver. Each section includes a “workbook” to help readers systematically identify problem areas and devise a tailored treatment plan. Dr. Blum also clearly delineates the actions which readers can take on their own and the actions which require the assistance and supervision of medical professionals. She gives readers the tools and the confidence to walk into their doctors’ offices and take a proactive role in finding a treatment plan that works for them. This is indeed a wonderful gift, and I will be carrying a copy of this book to my next appointment with my rheumatologist. The Midwestern Gentleman and I tested two of the recipes from The Immune System Recovery Plan, both entrees: Buddha Rice Bowl, and Black Bean Quinoa Salad. The Buddha Rice Bowl was one of the recipes with problematic editing, but it was still delicious and satisfying. The recipe called for winter squash, but suggested substituting in-season vegetables, so we roasted chiogga beets and tender young carrots from our local CSA instead of winter squash. 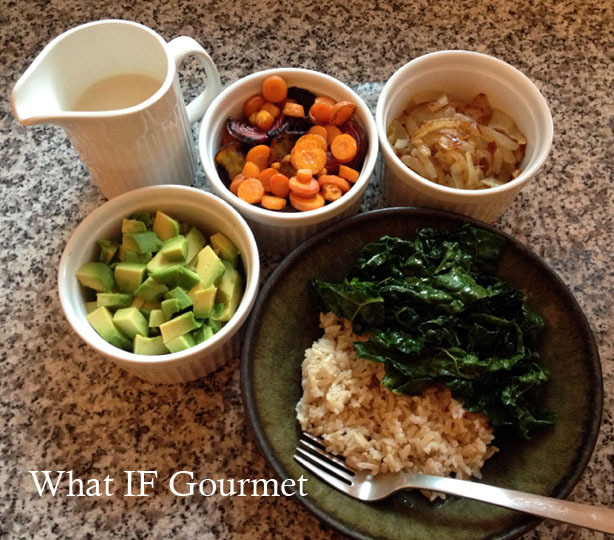 Following the recipe, we layered brown rice and sauteed kale in a bowl and then topped it off with the roasted vegetables, caramelized onion, and diced avocado. We drizzled a lip-smackingly tangy ginger-tahini dressing on top, and garnished the dish with toasted pumpkin seeds. Fantastic! The dish was flavorful and filling, but light and refreshing as well. 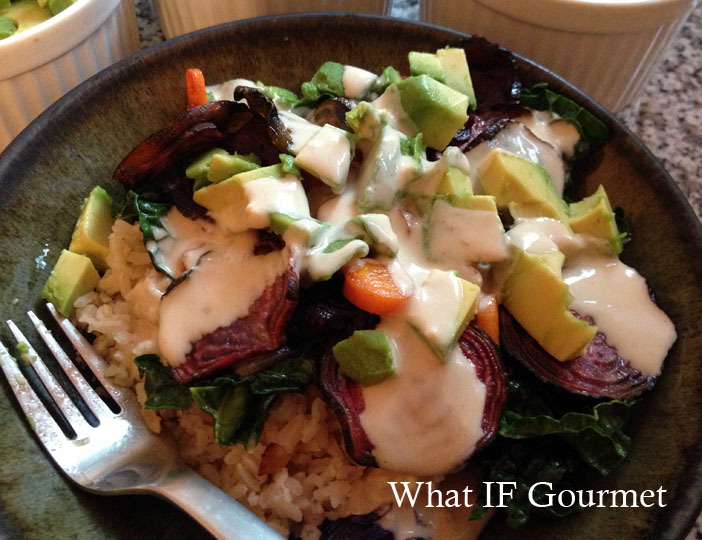 We both agreed the Buddha Rice Bowl will be one of our new go-to recipes. 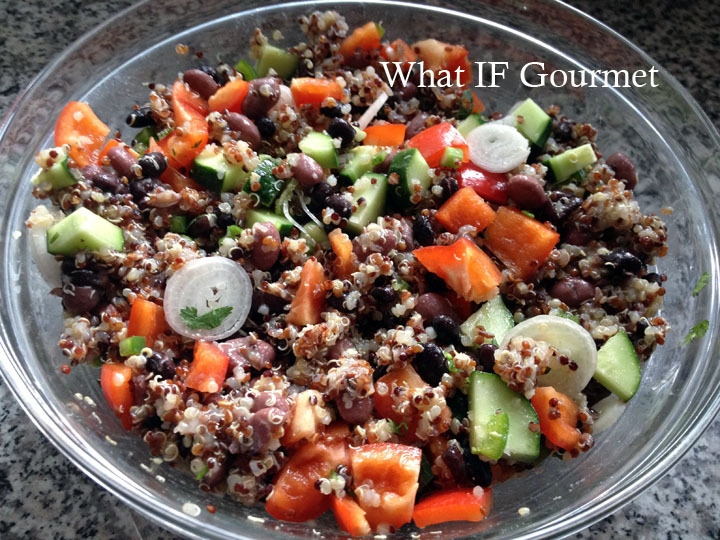 Black Bean Quinoa Salad, shown here with both black and pinto beans and tri-colored quinoa. I’m looking forward to trying more delicious recipes from Dr. Blum’s book, and also to having some productive conversations with my doctor about what else we could be doing to manage my autoimmune illnesses. 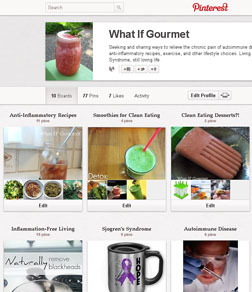 This entry was posted in Anti-Inflammatory Ingredients, Book reviews, Entrees, Gluten-free, Vegan, Vegetarian. Bookmark the permalink. 2 Responses to Book Review: The Immune System Recovery Plan by Susan Blum, M.D., M.P.H. True, Auntie Marci — it was really the combined effect of the italics, bold, and exclamation points that got to me.